I've decided to say bye to fat and hello to fit. I'm making progress!! The picture on the left was taken in June 2013. The picture on the right was taken right before the Super Bowl (sorry Denver). I tried to get the same angle, but hey, you can definitely tell the difference. 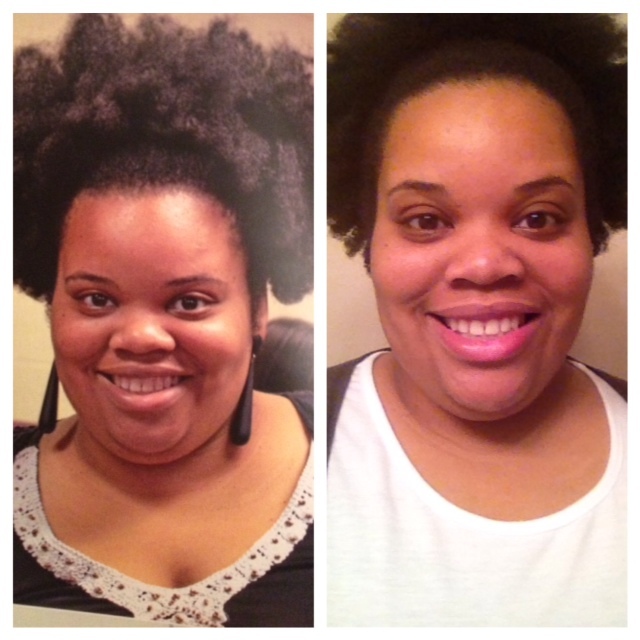 I lost weight between June-November 2013, but put it right back on over Thanksgiving and my birthday (2 cakes...smh). I made myself a promise that I would get it together when I turned 30 and I am! How can I be growing spiritually, in business and other areas of my life, but neglect my health? That's backwards and not fair!! I tried to make excuses and say all scales are different and that the angles of the camera made me look bigger. Although some of those things may be true, I had to be honest with myself and come out of denial! I went Vegan in January and loved it! My face is clear. My dark circles are clearing up under my eyes. My nails are strong and my scalp is no longer dry. I feel great!! I'm going to continue with a vegan diet here and there and will most likely switch to Pescatarian. I really miss eggs!!! I'm super stoked about my next challenge!! I was chosen out of 400 people to participate in the Genghis Grill Healthy Kwest Weight Loss Challenge. From Feb. 10-April 11, i'll be competing to win $10,000!! I'm documenting my journey on this blog and my new facebook health page. Because i'll be representing Genghis Grill, I ask that if you have a health product, please do not post. We'll be getting in shape the old fashion way with clean eating and exercise. Sorry, but no meal replacements, shakes, wraps, pills, surgeries etc. I will have to delete any post. Everybody's journey is different and I respect that. I've just decided to eat the food God made. Will you join me?? Go like my and follow my pages. 5 Reasons Why I Love Genghis Grill! !